As listeners of Middle Theory know, we have long taken pains to expose the reality behind the multitude of conspiratorial holidays celebrated in the western world… all of them, arguably, intended to pay testament to some devilish deity or mock-ritual, the details of which are only known in the truest sense to members of the Illuminati (or, in some instances, members of the elite squid-like international entity we call The World’s Most Secret Society). But there is one holiday celebrated in America that harbors more evil, more insidious influence from the global elite, and more true terror than any other: Halloween. 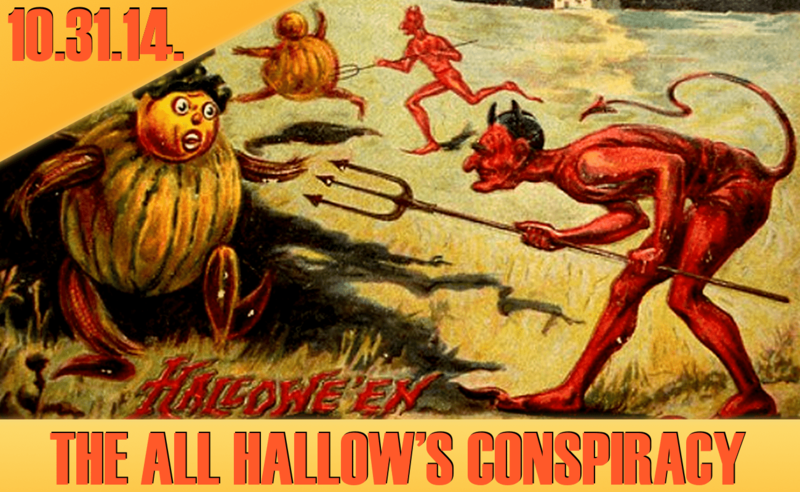 Well, at least according to some… we begin our foray into the “discovery” by the alternative media that Halloween is actually a mass Satanic ritual, an idea espoused by various outlets which seem to enjoy pandering to the paranoid among us. We also take a look at the amount of spending associated with the holiday, underground Halloween parties in Beijing that led to warnings of arrest for those donning scary costumes, and the way the holiday has changed over the years. Rounding out the discussion, we consider a number of the most horrifying novels ever penned, courtesy of the talented (and humorous) Guy N. Smith, who we feel should be awarded an honorary membership in The World’s Most Secret Society due to his authorship of an impressive library of titles over the years that include books about giant, intelligent, killer crabs. Other subjects discussed include not one, but two exploding spacecraft over the last week, new potential leads in the continued search for missing pilot Amelia Earhart, more Ebola updates and the criteria for preventing public panic, and much more. 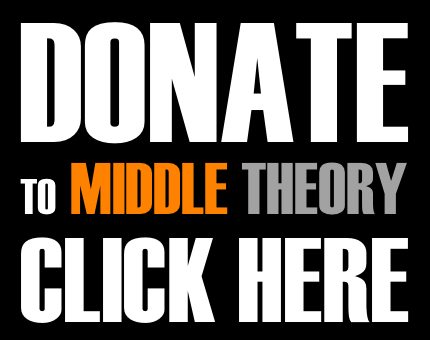 If you find the information presented on the Middle Theory podcast of merit, consider helping us spread the word about what we do by linking this page using the social media buttons below. We also encourage support through donations, using the PayPal button on the right side of this page, where you can put contributions behind your assessment of what we do, and what it means to you. We appreciate all the help our listeners provide in getting the word out about what we do.